The Muniment of Title procedure is best used when (a) there was a will, and (b) the estate has few assets. This procedure avoids full-blown probate but still requires interaction with the probate court. That is, in this process, a will is actually filed with the probate as a public record, and a probate court hearing is still necessary. However, the will is admitted as muniment of title only. Also, this Texas probate alternative is primarily used when there are no debts owing by the estate (other than debts secured by liens on real estate) and no other reason to have a full administration of the estate. This process provides the applicant with the legal paperwork necessary to disburse the estate’s assets without all the formal requirements of full probate. 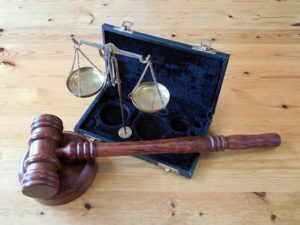 Probate attorneys often recommend this Texas probate alternative when the decedent owned only an interest in real estate and perhaps a bank account. For more information, refer to the Texas Estates Code § 257. It is possible for an individual to create trusts during his or her lifetime for the purpose of transferring property to beneficiaries outside of the probate process. Trusts created during an individual’s life are called living trusts or inter vivos trusts. In states with more arduous probate processes, inter vivos trusts can be a good way to distribute property to heirs while minimizing hassle. However, it’s often not advisable to solely rely on trusts as a Texas probate alternative. This is for a couple of reasons. First, the probate process in Texas is relatively hassle-free and inexpensive. Probate in Texas is simply not the dreaded ordeal it is for residents of many other states. Second, even if an individual uses inter vivos trusts to attempt to avoid probate, the individual should absolutely still have a Texas Last Will and Testament. It is almost impossible to get ALL of an individual’s property into the trust; sometimes property falls through the cracks and doesn’t make its way into the trust. If there is any property outside of the trust at the time of death, then probate has not been avoided. So, since the individual will need a Texas Will regardless of the existence of an inter vivos trust, the inter vivos trust just adds a layer of work and attorney expense. Inter vivos trusts can be useful for other estate planning purposes, but, again, the primary reason for a living trust should not be to avoid probate in Texas. If you have been named executor in Texas, the probate process may be simpler and more affordable than you might think. Even traditional probate is relatively inexpensive and hassle-free in Texas. Call (214) 302-8197 to discuss your Texas probate alternatives. If the Decedent left behind a valid and “self-proved” Texas Will, Shutt Law Firm’s flat-rate legal fee could be much lower than you might expect. Texas Probate attorney Isaac Shutt will provide a free consultation to help you find the best and most affordable probate alternative. The attorney will begin by determining whether or not the Last Will & Testament is valid under Texas law. In addition, there are also Texas probate alternatives to fit each family’s unique situation. Contact Richardson probate attorney Isaac Shutt or Peter Hall to discuss the Texas probate alternatives best for your situation.